Magali Babin has been active in the experimental/improvised music scene since the 80s. 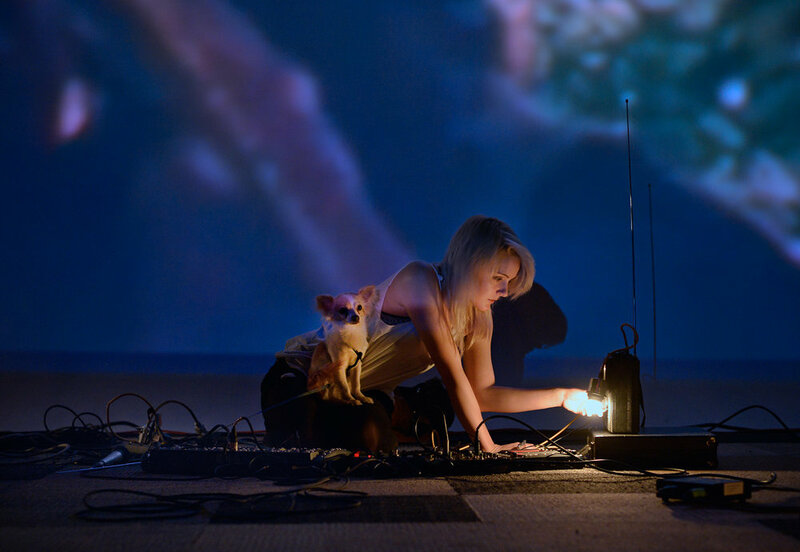 Her unique approach mostly relies on playing with sound capture, amplification, and interaction with household objects, contact mics, and electronic devices. Her performances, compositions, and research projects in the acoustics of environmental sound are characterized by her “gestural language of interactions on the object.” She performs solo, in trio (Mineminemine), with Martin Tétreault’s Turntable Quartet, and in various other configurations (Nocinéma.org). 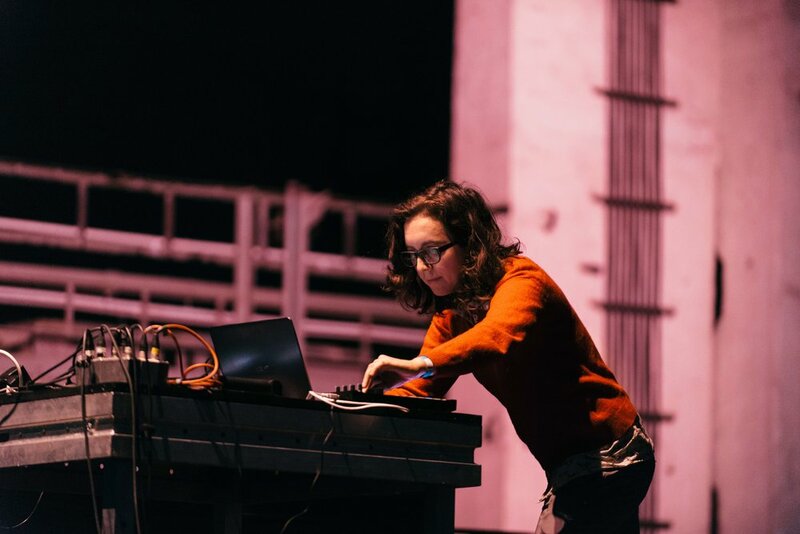 Her work has been presented in many international music festivals; in Montréal (Mutek, Rien à voir series, Suoni del popolo), Québec (Mois-Multi), Winnipeg (send+receive), Vancouver (New Music ), Berlin (Transmédiales), France (Nuits bleues), the US (High Zero), and the UK (Hull Time Base Art). Babin has one solo album, Chemin de fer, released on No Type. 2017 in partnership with Motherboard. Bardon't exists within many different worlds at once, flipping through the static between people, cultures, scenes and stories.” Jax has shared stages with Laurel Halo, Puce Mary, Mykki Blanco, Grimes, the Nihilist Spasm Band, Egyptrixx, and Drew McDowall (Coil). work in sound, video, photography, writing, and illustration traces the impossibility of a single narrative by channeling the ambiguity of singular experiences, and seeks to shift perspectives on feminine trauma in the digital era via individualized and emotion based story telling. Jax lives with her mini pug Lana Del Satan and collects postcards of motel swimming pools. Olivia Block is a composer and media artist based in Chicago. Her recorded compositions combine field recordings, chamber instruments and electronic textures, and others. Block creates multimedia installations and performances utilizing field recordings, found sounds from micro cassette tapes, video, and curated 35mm slides. Block’s current work reflects her interests in site specificity, ethnographic sound, architecture, and found/archival materials from the 1950's-1990's. Block often performs her own solo pieces, utilizing electronically processed amplified objects, found recordings on tapes, and various techniques inside grand pianos. Her studio based compositions are published on And/Oar, Cut, Erstwhile, Glistening Examples, NNA, and Sedimental, among other labels. She has created site specific multi-speaker installations for The Sanitorium in Sokolowsko, Poland, The Jay Pritzker Pavilion in Millennium Park, Chicago, and the Olympics in Turin Italy, among others. She has performed and premiered pieces in festivals throughout America, Europe, Scandinavia, and Japan. Block has been interviewed on NPR's Morning Edition, Wire Magazine, Musicworks Magazine, Blow Up, Chicago Reader, and many additional podcasts, publications and radio programs. Carr has been investigating the intersections between sound, place, and emotionality both as an artist and a curator since 2010. During this time she has ventured from tiny fishing villages in northern Iceland, explored the flooded banks of the Seine in a nuclear power plant town, recorded wildlife in South Africa, and in the wetlands of southern Mexico. Recently she has been doing more live work, with gigs at London's Cafe Oto, Riga's White Night's festival, the Bello Bar in Dublin, and even a show performed from the deck of a restored herring trawler in Siglufjordur in Northern Iceland. Carr is Australian, and lives in London. Raised in Toronto and based in Vancouver, Joda Clément has been performing and composing experimental music for over 15 years. 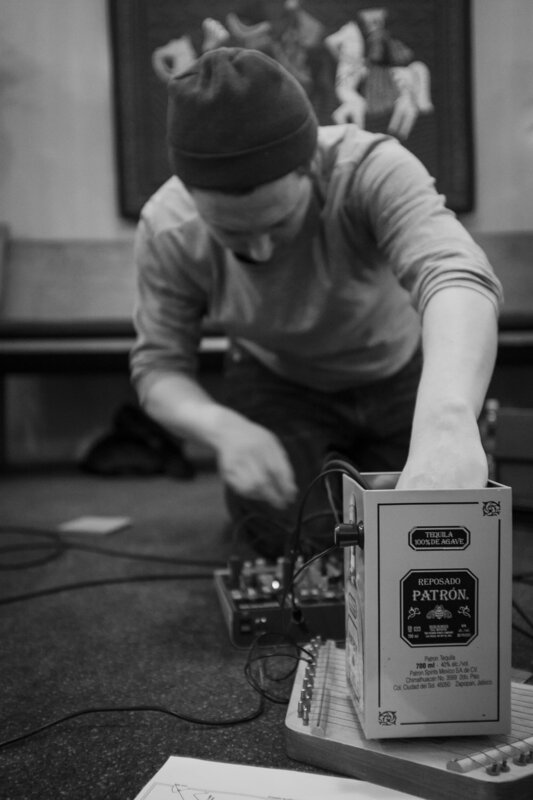 His work utilizes analog and acoustic instruments, field recordings and feedback to carefully construct listening environments that transcend a distinction between sound, site, and source. Joda has performed or exhibited in Canada and abroad, including appearances at The Music Gallery, MOCCA, Issue Project Room (NY), Reheat (Austria), Suoni Per Il Popolo, Extermination Music Night, Life Changing Ministry (CA), Electric Eclectics Festival, VIVO Media Arts Centre, MUTEK, Oboro New Media lab and the West Hollywood Library (CA). His music has been released internationally on labels such as Alluvial Recordings (US), Glistening Examples (US), Mystery Sea (BE), Unfathomless (BE), caduc (CA) and Notice Recordings (US). Collaborators past and present include Magali Babin, Michael Northam, Hitoshi Kojo, Olivia Block, Bhob Rainey, Bonnie Jones, Kai Fagaschinski, Chris Cogburn, Tomasz Krakowiak, Mathieu Ruhlmann and Lance Austin Olsen. Manufacturing Entertainment are artists Julie Gendron + Emma Hendrix. Collaborating for over 14 years, they use multiple mediums, including video, sound, installation, analog/digital technologies, the internet, and performance. objects and environments, and manipulate them in order to conjure multiple meanings in an unending exploration within themselves and, in turn, form new points of view for their audiences. They create in order to express the vague and the conspicuous, and to exemplify the creative capacities of observers and participants. Doreen Girard is a Canadian interdisciplinary artist working with sound, installation, and expanded cinema, and was a cofounder of the Negative Space and Bent Light artist collectives. She performs solo, and with the electro-acoustic piano duo Burden, as well as in a number of experimental and minimal sludge projects. Girard’s approach focuses on experimentation of the resonant and refractive properties of glass, wood, string and metal, aiming to activate the participant’s awareness of their perceptual field. Her interests include early music, funereal doom, trauma theory, and the physics of sound and light. She has performed and presented work throughout North America. The music of Tim Olive arises from collaboration with fellow musicians/sound artists, collaboration with physical and temporal setting, and collaboration with those involved in the act of listening. Using simple materials (including magnetic pickups, steel strings, tuning forks, metal strips, hand-wound motor mechanisms, magnetic tape, dental floss and analog electronics), Olive’s work is predicated on the interplay of the human with material/time/space, and the uniqueness, intensity and unrepeatability that lives in each performing and/or recording situation. He is interested in music as a social activity, as a way of creating community, a way of countering the forces which lead to an increasing atomization of contemporary life; music as a felt experience rather than as a concept or a theory. A Canadian residing in Kobe, Japan, Olive has released music on Japanese, European and North American labels, with Jeff Allport, Cristian Alvear, Pascal Battus, Alfredo Costa Monteiro, Samuel Dunscombe, Nick Hoffman, Anne-F Jacques, Jin Sangtae, Jason Kahn, Takahiro Kawaguchi, Yukinori Kikuchi, Francisco Meirino, Katsura Mouri, Takuji Naka, Bunsho Nishikawa, Makoto Oshiro, Ben Owen, Horacio Pollard and Fritz Welch. Olive has performed/recorded in Asia, Australia, Europe and North America, with the recording collaborators listed above, as well as with Akiyama Tetuzi, Maria Chavez, Che Chen, Kelly Churko, crys cole, Joe Foster, Haco, Hong Chulki, Bonnie Jones, Nicola Hein, Richard Kamerman, Kostis Kilymis, Siew-Wai Kok, Madoka Kouno, Tomasz Krakowiak, Fangyi Liu, Cal Lyall, Toshimaru Nakamura, James Rushford, Carl Stone, Nate Wooley, Jared Xu and Yan Jun. In addition to organizing events in Japan, Olive runs the label 845 Audio. A linchpin of Montreal’s experimental community for over two decades, Jean-Sébastien Truchy has performed with Fly Pan Am, Set Fire to Flames and Avec le soleil sortant de sa bouche among countless others as well as co-running the presently defunct Los Discos Enfantasmes label. His solo work incorporates the notion of confrontation of the self, as an entity, in relation to its environment, whether human or not, through the intervention of various musical and non-musical elements. At different moments of the process of creation, using randomized effects and/or shifting musical patterns that interact with the written elements of the pieces, the final outcome of the composition becomes variant. Further manipulations and juxtapositions of the music with field recordings used as background layers help defy the musical genre and determine the unusual form of the final draft of the composition to which vocals are added, vocals that are also submitted to randomized audio and/or midi effects.